Patient with 8 upper and 8 lower dental implants to replace all teeth which presented with moderate to advanced gum disease. Patient had few remaining teeth extracted due to caries and gum disease. 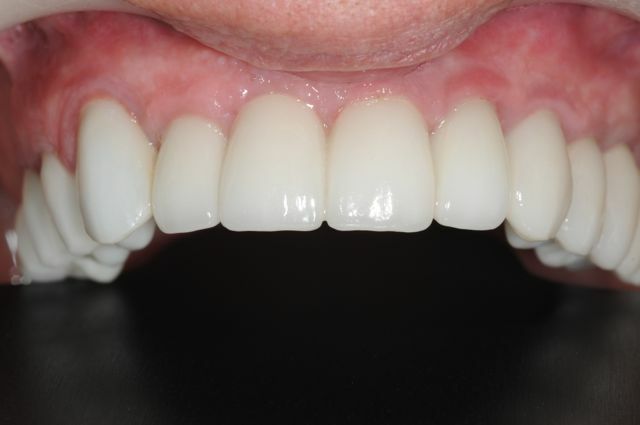 He was treated with an over-denture supported by 4 dental implants. This design offers great stability and function for the patient while keeping it affordable. 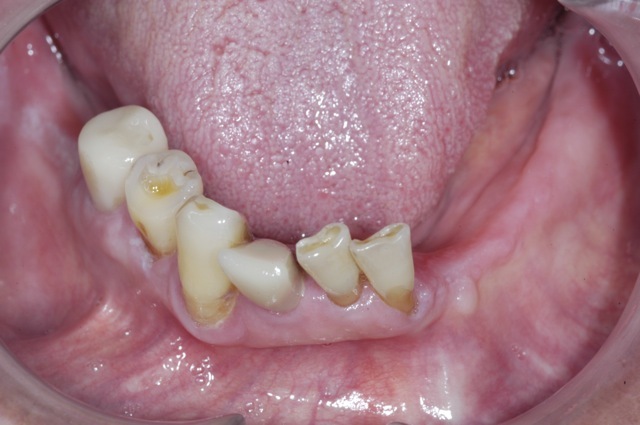 Patient with completely missing lower teeth experiencing significant difficulty eating using her conventional denture. 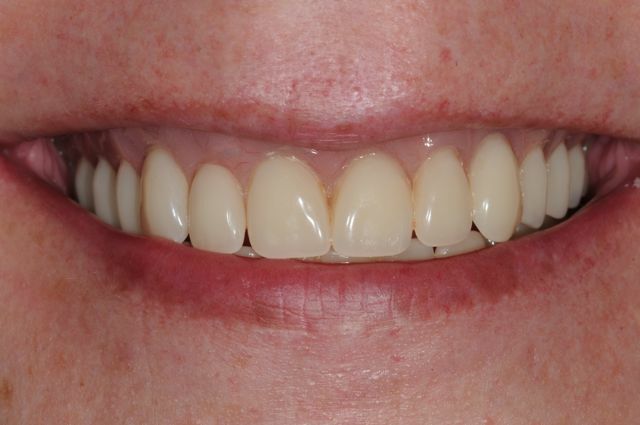 Two dental implants, a simple design, provided her the stability and function she was looking for. 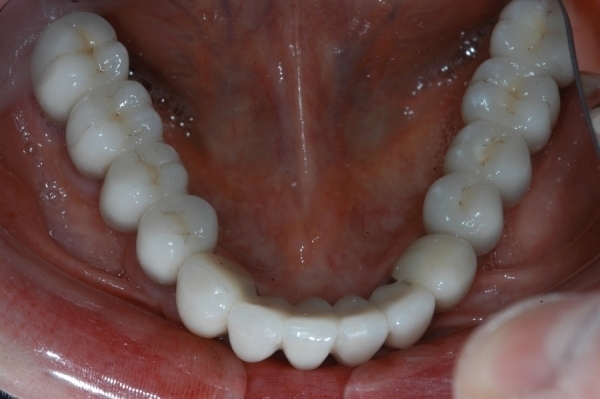 This patient had few remaining lower teeth that were badly decayed and loose. He had been using a partial denture that had gradually caused irreversible damage to his remaining teeth. He could no longer eat with it. Since his remaining teeth were hopeless, they all had to be extracted. 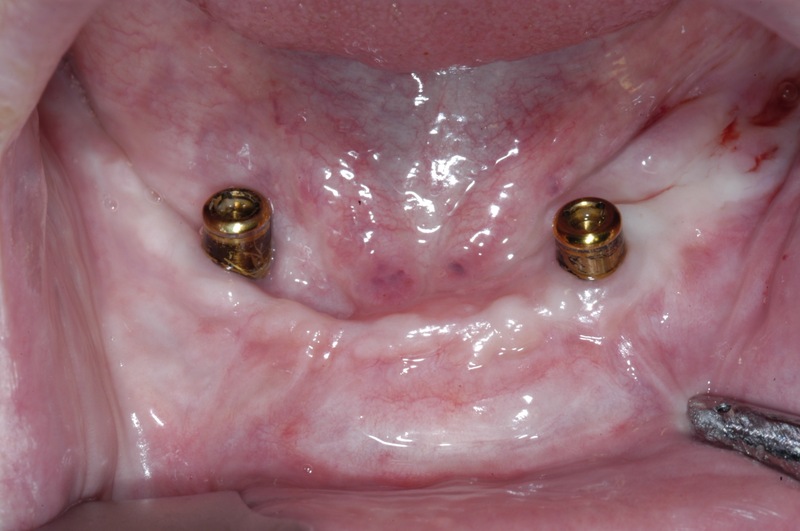 Four dental implants were planned for support of a removable overdenture. Placement of 4 upper dental implants supporting complete set of teeth; A CT-Guided 3-dimensional planning approach was used for accuracy and minimally invasive surgical technique. Patient missing all of her lower teeth. Six dental implants placed for support of a completely fixed hybrid teeth. Patient required extraction all of her upper and lower teeth due to severe caries. 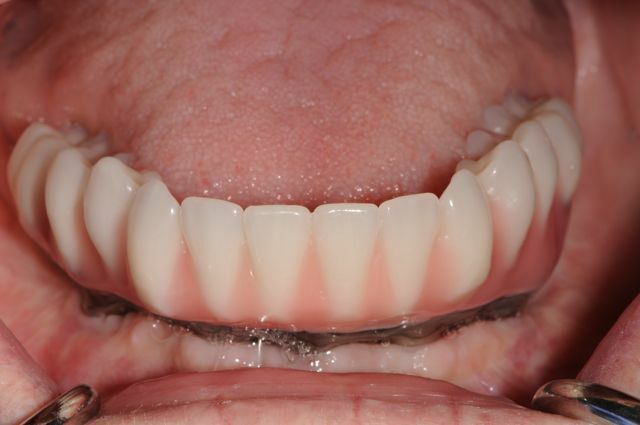 Following extractions, 4 upper and 4 lower immediate implants were placed and then restored with removable overdentures. Patient with few remaining lower teeth and partial denture which was increasingly difficult to use and chew with. Treatment consisted of extractions, immediate (same day) implants, and delivery of a fixed teeth on the same day. Patient with few decayed remaining lower teeth which had to be extracted. She wanted a fully fixed set of new teeth. Eight dental implants planned for supported of a fixed bridge.